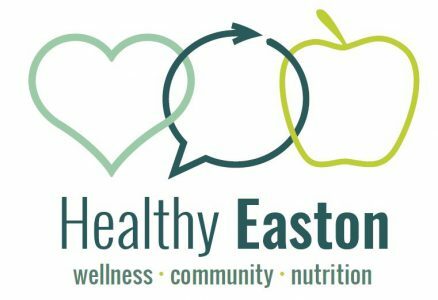 Healthy Easton – We're a community coalition working together to improve access to healthy eating and physical activity for all in Easton! We're a community coalition working together to improve access to healthy eating and physical activity for all in Easton! Did you know that March is National Nutrition Month? Since March is here, we’ve put together five tips on staying healthy. tasty treats that we love to snack on. The point is we love the taste of sugar! However, many pre-packaged foods come with lots of sugar. Consuming too much sugar can increase your risk for diabetes and other diseases. Instead, try to look for foods that are sugar-free or even low in sugar. Salt is another mineral that is found is a lot of pre-packaged foods, and many Americans consume a lot of salt. It also can increase your chances of developing diseases. One way of limiting your salt intake is prepping your meals instead; That way you can control how much you put in to your meals. preparing quick foods the night before. Some examples include cutting up fruit, which provides many healthy vitamins and minerals, or hard-boiled eggs, which are a good source of protein. This may same unusual but skipping meals throughout the day can lead to excessive cravings later on in the day. For example, skipping breakfast can lead you to feeling hungry in the middle of the day, making it more likely that you’ll pick up something quick and unhealthy. Try preparing healthy snacks to get you throughout the day, like a cup of yogurt, vegetables and dip, apple slices and peanut butter, and more. that can go a long way in your health. Health professionals say that people should drink up to a half of gallon of water, which is equivalent to 8 cups. A great way of drinking enough of water is by using a reusable water bottle, that way you can fill up at any time of the day. According to the CDC, between October 1, 2018, and February 23, 2019, it is estimated that up to 23.6 million flu illnesses occurred and resulted in the hospitalization of approximately 302,000 people. It also took the lives of 26,700 individuals. The statistics can seem scary but there are ways to reduce the chances of getting the flu! Get the Flu Vaccine! Getting the flu vaccine is by far the most effective way to prevent the flu. The vaccine is most effective in children and protects the vulnerable. The flu vaccine is never 100% effective, but it does lessen the effect and reduces complications. You are better off getting the vaccine! Avoid contact with sick people! Try to keep your distance from sick people to avoid spreading the flu to yourself. While sick try to limit contact with others. Cover your sneeze! Even when not sick, you should always cover your sneeze with your elbows. If you use your hands to cover your sneeze, make sure to wash your hands immediately. In addition, it is crucial to keep your hands away from your eyes, nose, and mouth. This is how germs spread! Clean Surfaces! It is important to disinfect surfaces such as kitchen countertops, doorknobs, cell phones, and anything you handle every day to avoid the spread of germs! Never, ever take Antibiotics! If you do end up getting the flu it is important to take the antiviral medicine your doctor prescribes you. Never take antibiotics as they are not effective against the flu. The flu is caused by a virus, not bacteria. Antibiotics are meant to be taken to battle bacterial infections, not viral! Want to know more about the flu? Please visit https://www.cdc.gov/flu/about/index.html.To track flu activity and surveillance, visit https://www.cdc.gov/flu/weekly/#S1. Did you know that February is American Heart Month? In honor of this awareness, here are some tips that can improve your heart health. Don’t skip your annual check-ups Your heart is very important and therefore it is very important that you get yearly check-ups where you get your blood pressure, glucose levels, and cholesterol levels checked. Ask your doctor about any questions or concerns you have. They will be more than happy to guide you! Exercise! Walking at least 20 minutes a day can reduce the risk of heart attack and stroke. You can even walk or jog in place for at least 15 minutes in place while watching your favorite TV show! Increase water intake Drinking water is important! Take a reusable water bottle everywhere you go. This way you will always be hydrated! Eat Healthy! Don’t leave unhealthy snacks and foods in plain sight, hide them! Leave healthy snacks such as fruits and veggies in the fridge where they are accessible. Prepare your lunch and snack the night before. Before you know it, eating healthy becomes a habit. In addition, when grocery shopping, look for the heart logo from the American Heart Association. It will help you identify heart-healthy foods! Cholesterol Control Stay away from foods that contain high saturated and trans-fat as they lead to high cholesterol levels! Try adding chicken and turkey (skinless, baked, or roasted), fruits and veggies, low-fat or fat-free dairy products and whole grains to your diet to help keep cholesterol levels low. Less salt, please If you have high blood pressure, you may want to watch your salt intake. On the food labels, salt is labelled as sodium alginate, sodium sulphite, sodium caseinate, disodium phosphate, sodium benzoate, sodium hydroxide, monosodium glutamate (MSG), or sodium citrate. Day 1: Cut the number of cigarettes you smoke by half. Day 3: Cut the number of cigarettes you smoke by half again. Day 5: Cut your smoking in half once again! Keep a healthy weight Did you know that excessive weight can actually increase your risk of heart disease, stroke, and diabetes? You can achieve that healthy weight by exercising 30 minutes every day or most days and by consuming 200-300 fewer calories than you normally would each day. Positivity is Key Going off track happens but when you do it is important to get right back. You can do it! Reward Yourself! In this day and age getting in shape can be a challenge. So, don’t forget to reward yourself with something fun every once in a while, you deserve it! The age of the smartphones has led to the new age of applications, or Apps for short. There are apps for everything nowadays. We have the ability to entertain ourselves with games, online magazines, movie apps, photo editing apps, health apps, and apps for just about anything you can think of! There are even apps that can help people manage their diabetes. In this post, I will be looking at various apps that do just that. The app allows you to Log: blood glucose level, carbohydrate intake, doses of medications, A1C results, exercise etc. Cons: Does not sync with meters, only allows Apple users to sync their app to the Glucose Buddy Website, and there is no way to back up data entered. This app was created by individuals who themselves are inflicted with diabetes and therefore uses a more personal form of feedback to keep people on track and on top of their health. This app allows users to log their blood glucose levels, monitor carb intake, track the use of insulin, and provides positive and motivational feedback to help people cope with diabetes. This app is targeted for people that have either Type 1 or Type 2 diabetes. Pros: This app generates health reports for your health care provider! This app allows users to record as well as keep track of blood glucose levels, meals, insulin injections, medications, and more! This app was also created by people inflicted with diabetes for other people with diabetes, both Type and Type 2. Pros: This app allows users to use the app or to log on to the apps online portal to download the data and reports to take to their next appointment with their health care provider! This app allows users to keep track and logs blood glucose levels, carbohydrate intake, and even weight. Its use is intended for those with Type 1 or Type 2 diabetes. Pros: This app provides users with a community support forum for people with type 2 diabetes and offers valuable diabetes prevention information. Android users. Also, just like with the other apps, it does not sync with CGMs and pumps. This App allows users to log food and exercise and offers peer and expert support. This app is intended for people with type 1 diabetes and insulin-dependent type 2 diabetes. Pros: This app wirelessly with the One Drop Chrome meter, insulin pumps, and CGMs. Cons: For an additional $99.95, One Drop Premium includes the One Drop Chrome blood glucose monitoring system, which includes a meter, lancing device, 10 lancets, 100 test strips, and a carrying case. One Drop Premium: $39.95 per month (includes One Drop diabetes management app, One Drop Chrome blood glucose monitoring system, unlimited test strips delivered by mail, and 24/7 in-app text messaging support from certified diabetes educators. This app is for diabetes management and weight loss and works the exact same way in both Apple and Android devices despite the two different names. This app provides a log for keeping track of blood glucose readings, A1C results, food, exercise, blood pressure readings, and medication use. In addition, this app provides reminders to check blood glucose levels. This app is also intended for people with type 1 or type 2 diabetes. Pros: After logging in the food and exercise, the app provides you with more personalized advice and support to help keep you right on track! Cons: Does not allow for syncing with CGMs and insulin pumps and it is not free. Price: One-time fee of $9.99, $60 per year (or $9 per month) for the maximum version of the app, which is available for purchase in the app. This app provides insulin bolus calculation and blood glucose levels as well as trends. The app is intended for people with type 1 or type 2 diabetes. Pros: It is very easy to log in data entries and to see your blood glucose levels. The developers of this app are continuously improving their app based on user reviews. Cons: This app is only available for Android devices and it does not sync with meters, CGMs, or insulin pumps. Upgrade to Pro: One-time fee of $4.99. With the cold that the winter season brings it could often be difficult to find the motivation to exercise and stay healthy. Here is a list of tips that could help you brave through this winter season! It is very easy to overeat, so it is important that you maintain the same exercise schedule and to take your diabetes medication. During dinner try to stick to meat, vegetables, and side salads to help keep your blood sugar levels from skyrocketing. You can even try a sweet or two, just make sure to add them as part of the carbohydrate portion of your diet and not as extras. When drinking alcohol, make sure you do so with a meal and not on an empty stomach. For diabetics, it is recommended to not exceed more than one drink a day for women and two for men (1 drink = 4 ounces of wine, 12 oz of beer, and 1 ounce of distilled spirits). There are also really cool apps such as Glucose Buddy, MySugr, DiabetesConnect, Sugar Sense, One Drop, and BG Monitor Diabetes, that you can download for free to help you count the number of carbohydrates in certain food and to help you keep track of your blood sugar level, and even medication! Going to a restaurant doesn’t have to be an unhealthy choice! Just make sure to choose options with less saturated fats, sugar, and fried foods. Instead of French fries and mashed potatoes, order boiled or baked potatoes. They most likely have the healthy dishes labelled as healthy in certain restaurants, making it so much easier to enjoy your meal without worries. When going to a party, play it smart by first munching on some healthy appetizers like vegetables and later some meats and cheese. This way you fill up on veggies first that way you eat less cheese and meat. Try placing the appetizers in a napkin instead of a plate, that way you will be less likely to overfill it. Also, do not seat near the food table, it can be too tempting! Exercising may be a little more difficult around this time so instead, try doing some fun activity with your family. Enjoy games like Just Dance or Zumba on the Wii. Holiday season is here and often times we find ourselves eating more and exercising less. However, we will end up finding ourselves “bursting” with holiday cheer if we get too much out of balance with our food intake and activity output. To help prevent gaining the holiday weight and to help maintain physical activity, here are 9 tips to help find ways to stay active during the holiday season. Shoe-in. As much as you can wear running shoes so that you can get moving whenever an opportunity presents itself. This may be while you’re waiting for food in the oven. Park farther away in order to walk further to your destination. If you’re out doing holiday shoppingwalk the mall before shopping the mall. Take the Stairs. According to the CDC, in one minute a 150-pound person burns 10 calories walking upstairs and only 1.5 riding an elevator. Make this choice during the holiday season to burn a few extra calories and stay fit. Work Out with your Mobile Device. Download an app or watch videos for workout ideas whether you are at home trying to get a quick workout in or away from home and have no access to a gym. Find trails or tracks before you travel. Check for walking or running trails or tracks to wherever you are traveling. Visit the USA Track & Field website at http://www.usatf.org/routes/ to find new routes in your area! Try some new tunes. If you like to work out to music, listen to new music to get motivated. For example, search Christmas fitness music or holiday fitness music. Clean your house. Whether or not you are having guests over this holiday season set aside several hours one day and THOROUGHLY clean your house. Bending, squatting, running up and down stairs, standing and outing away laundry are all activities that burn calories. Look for a holiday fun run. Fun runs are often held over the holidays. Get a group of friends or family and run or walk at your own leisurely pace and plan to get coffee or breakfast after the event. Build activity into family visits and outings. Encourage house guests or family members to bring workout clothes and start each day with a walk, jog, or run or any other form of work out to get a great jump start on the day and avoid gaining the holiday weight. Fly with wheels. If you plan on flying during the holiday season, use the time between flights to get in some activity. Walk around instead of sitting at the gate. If time allows, walk vs using the “people mover”. If you have carry-on luggage make it more comfortable by using a wheeled suitcase or a backpack. Wishing you all a fun, safe, and ACTIVE holiday season! As we wrap up Diabetes Awareness Month in the month of November, here are some facts that can help you or a loved one learn more about this disease. Diabetes is a lifelong disease that will affect the way the body responds to sugar. Anyone can be affected. 29.1 million people in the US have diabetes, and 86 million have prediabetes. Prediabetes is a “wake up call”. It is your body telling you that you have high blood pressure, but not high enough to be diagnostic for diabetes. Type 1 diabetes is typically diagnosed in childhood. However, that doesn’t mean you can’t get it later in life. With type 1, you have to constantly inject insulin and monitor your blood sugar. There is no cure for type 1, but there is a lot of research being done to find a cure. Type 2 diabetes is a chronic condition that affects how your body metabolizes glucose, or sugar. When you have high blood sugar, this sugar builds up in your bloodstream. As levels increase, your pancreas is unable to produce enough of the hormone insulin to keep up with the demand. Type 2 diabetes is preventable with lifestyle changes, including increased exercise, moderate weight loss and improved diet. Keep these tips in mind for yourself, friends and family. November is the time to raise awareness and find a cure!